If you missed the original announcement, Tempest Remastered is coming out on Wednesday, May 6! Tempest Remastered is a different beast from any other set to date. Not concerned with fitting into Standard, and with a narrower scope than Vintage Masters, the designers got to focus on making the best Limited set out of cards from Tempest, Stronghold, and Exodus. How does a set like this become a reality? The lead designers on the set, Adam Prosak and Ian Duke, were kind enough to talk with us about the unique experience of crafting Tempest Remastered. 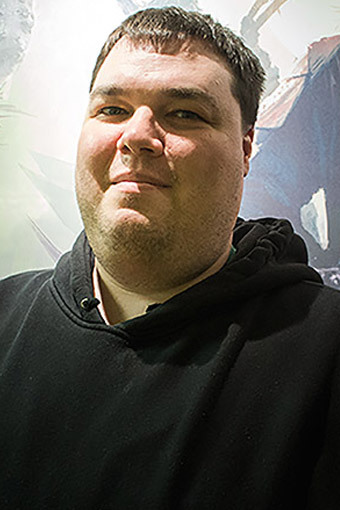 For a little bit of background, Adam Prosak is the lead initial concept and game designer for the set. His answers speak to the initial design and early work on Tempest Remastered. Ian Duke led the final game design and development portion and was more involved with balance and strategy design. Out of all past sets, why was Tempest block chosen to remake as Tempest Remastered? Adam: Choosing the proper block was one of the most difficult parts of the project. Nearly every block has some awesome and iconic cards, so we focused mostly on what type of game experience we could create with this product. We wanted to start with something that had enough cards that worked under our modern developmental guidelines. Tempest was a good candidate simply because it contained a high number of cards that serve as a good baseline for Limited play. Pacifism, Wind Drake, and Lightning Blast are great Limited cards, and give us a lot of tools to work with. The other reason we chose Tempest was that we felt we could make the drafting environment much different from the first time around. Ian: The first Magic blocks designed for Limited play were Mirage and Tempest. There was a huge increase in quality of Limited play from the early sets to Mirage, and then again from Mirage to Tempest. The core gameplay of Tempest block is quite fun, but there were some problems with color balance, repetitive effects, and frustratingly powerful commons. We knew that if we applied modern development principles and allowed for some rarity shifts, we could resolve many of these problems while still capturing the fun themes of the block. What was the overall goal with Tempest Remastered? Adam: To create a unique drafting experience, using cards that many people, myself included, remember fondly. In addition, we wanted to give players another shot at the "feel" of Tempest, complete with a modern design philosophy. 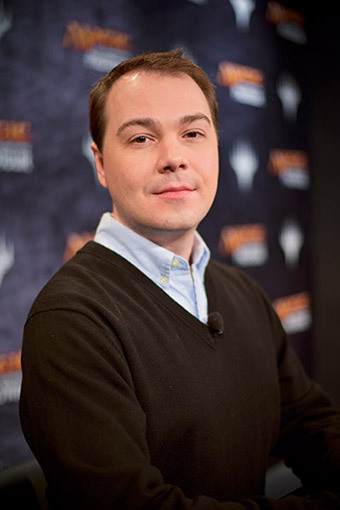 Ian: The goal was to bring back beloved content from Magic's history with the high quality and polish we've achieved from decades of experience designing the game. We think the set will deliver on nostalgia for those who already know and love the original block, while also being a great experience for those who are seeing it for the first time. How do you begin work on a project like this? Adam: The team starts by going through the file, and sorting the cards into categories. The first category was cards that we should definitely have. This basically includes all of the sweet, iconic cards from Tempest. Sliver Queen, Capsize, Recurring Nightmare, and many others went into this pile. The second pile contained cards that we wouldn't want to make again. The licids all went into this pile. The third pile contained everything else—cards that we had to work with. Then, we started building a file that looks like a normal large set. Are there any experiences or insights you took away from VMA to apply to this project? Adam: Ian Duke is great to work with, and I knew that he would do a great job on development. Past that, it's mostly just an experience thing. Vintage Masters wasn't released when I finished work on design. Ian: The two sets are similar in that they are remixes of existing cards, so we followed a lot of the same processes. They are different from normal Magic sets, because we have a finite list of options to choose from for a particular slot in the set. It's sort of like solving a jigsaw puzzle, except with extra pieces. You have to find the right ones to create the picture you're trying to make. That said, there are some key differences. With Vintage Masters, we tried to play up some of the qualities of early Magic design that we've since moved away from. There were lots very powerful individual cards and synergies, and some classically "broken" strategies like reanimator and storm. With Tempest Remastered, we wanted to bring back nostalgic cards and mechanics, but apply our modern development philosophies and processes—the same techniques we used for recent popular Limited environments like Khans of Tarkir and Innistrad. What were some of the biggest challenges you encountered during the design process? Adam: Many of the sets had very similar cards that we like individually, but not together in the same set. For example, Shock and Kindle are too similar in effect. Black had this problem big time, both with very similar shadow creatures, lots of "return from your graveyard" effects, and even a good amount of similarity in the removal spells. The other major challenge was trying to get the mana to work properly. Tempest is not known for its great mana fixing, and there are many double mana cost cards in the block. There are only so many Counterspells, Death Strokes, and Soltari Priests you can play. Playing around with rarity helped quite a bit here. What's the biggest difference in approach between a set like this and something that would be Standard-playable upon release? Adam: I can put Survival of the Fittest into the set! Not having to balance for Constructed makes things much easier. Ian: A Standard-legal release involves creating new cards, so we have to make sure that new content adds to the game in a positive way and fits into a balanced and healthy Standard tournament environment. With Tempest Remastered, we're rereleasing cards that already exist, so we can't change the cards themselves. We balanced the set for Limited by choosing the right cards to include, and excluding cards that didn't add to the fun. What was your approach for designing with Limited play in mind? Adam: Keep the important set themes and have them show up at the appropriate level. This meant less buyback, appropriate shadow, and lots of Slivers! Green has lots of rarity downshifts. It was easily the worst color in the original set, so we had to downshift rarity to get green to an appropriate level. Ian: The main problems we had to solve were color imbalance and repetitive gameplay. In the original Tempest block green was the weakest color, and red and black were too strong. When we squeezed the whole block down to the size of one large set, we kept most of the strong green creatures, but fewer of the strong red and black creature-removal spells. We also made a few rarity adjustments to balance out the colors. Many cards from the original block caused what we call "lock out" gameplay. Creatures that tap to deal damage, like Fireslinger, can repeatedly kill all of your small creatures, especially in multiples. Similarly, the buyback mechanic lets a player cast the same spell turn after turn. Often you would end up with a handful of cards but no productive plays. We adjusted the rarity up on some of these cards so that more games play out in different ways. What's your favorite card or combo from Tempest Remastered? Adam: Merfolk Looter is my favorite Magic: The Gathering card ever printed, and its first appearance was in Exodus. Can't get much better than that! Ian: Endangered Armodon is a really fun green creature that can really change the way you draft and build your deck. I like combining it with the buyback spell ]Evincar's Justice. Hermit Druid is so powerful in Constructed that it's banned in Legacy, but it actually plays really well in Limited and can help add some synergy to a ramp or graveyard deck. I've also always had a soft spot for Slivers. 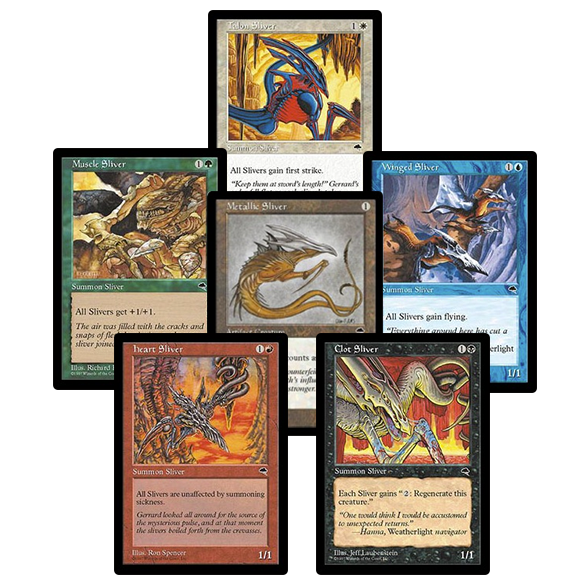 What card(s) from Tempest Remastered are you most excited to bring to Magic Online? Ian: As I mentioned in my Vintage Masters article last year, we want to continue to support Eternal formats like Legacy and Vintage on Magic Online. I'm really excited for cards like Wasteland, Mox Diamond, and City of Traitors become a little more accessible for fans of those formats. Were there any archetypes or strategies that were included early on, but didn't make the cut? Why? Ian: We initially thought about concentrating Slivers in green, white, and blue; but we found that people were having a lot of fun with them so we added them back to red and black. Other than that, the initial design of the set was very good, so my team worked mostly on the balance details. Thanks to Adam and Ian! And look for Tempest Remastered, released only on Magic Online on May 6!